Paul Archibald has been Musical Director of Regent Brass since January 2014. A professional Trumpet Player and educator, Paul brings a wealth of experience to Regent Brass and the band members are very much enjoying working with Paul. Christopher Bearman is a freelance musician, performing on tuba, and as a conductor and teacher. He graduated from Trinity College of Music in 2009 and in 2010 received a scholarship to study for a post graduate diploma in performance at the Royal College of Music. 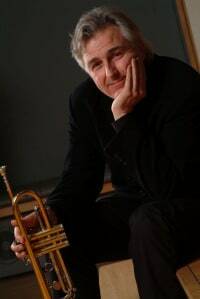 Since graduating he has performed with various groups of many different styles, having worked with Superbrass, Grimethorpe Colliery Band, at the London Jazz Festival, as a soloist for Malcolm Arnold’s 80th Birthday Concert and live performances on BBC Radios 2 and 3. 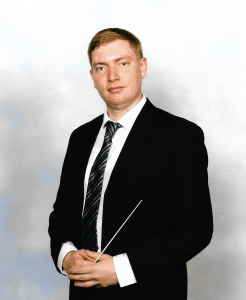 As a conductor, Christopher has worked with brass bands, ensembles and orchestras in the London area and he was appointed Musical Director of Regent Community Brass in 2014. Christopher is also involved in music education, having worked with London Philharmonic Orchestra and the BBC in workshops, as well as music services in London and the surrounding counties.